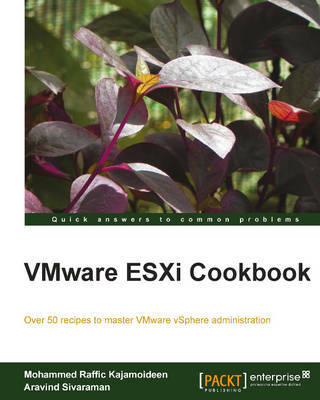 "VMware ESXi 5.1" is written in a Cookbook style, learn through practical real world recipes and examples. "VMware ESXi 5.1 Cookbook" is written for technical professionals with system administration skills and foundation knowledge of virtualization and who need to learn about the installation, configuration, and administration of vSphere 5.1. Essential virtualization and ESX or ESXi knowledge is advantageous.